21. World Waterpark in Alberta, Canada. 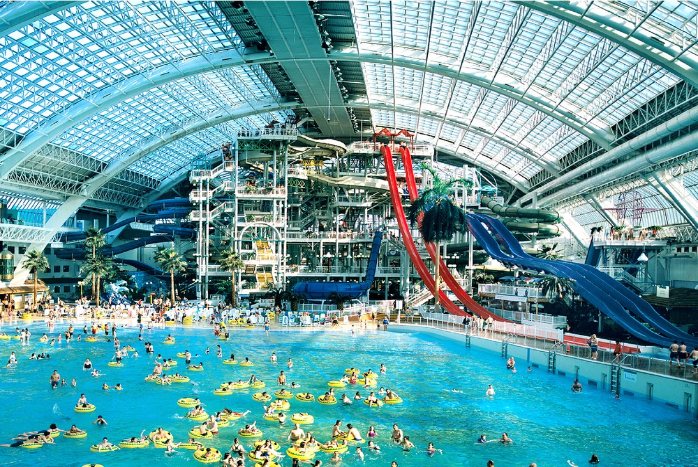 At West Edmonton Mall in Edmonton, Alberta, Canada, visitors don’t just get to enjoy roaming around the world’s largest shopping and entertainment complex, but they also get the chance to experience more than 21 unique waterslides inside the world’s largest indoor wave pool. 22. Boeing 747 in Oregon, USA. At Wings & Waves Waterpark, an indoor, all-season waterpark, visitors get to experience ten water slides, from the just the fun slides to the daredevils, as well as a fun wave pool. 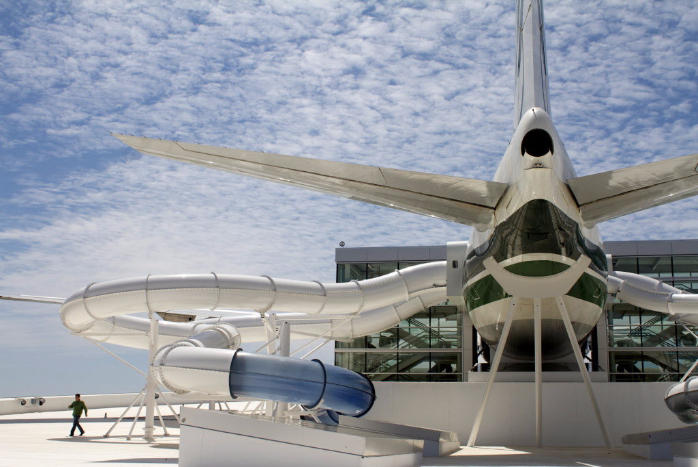 One of the slides sits on the inside compartment of a real de-commissioned Boeing 747 plane and winds its way inside the building of the park and down to the pool below. 23. Twister and Speedy in Sonnentherme Lutzmannsburg Thermal Spa, Austria. 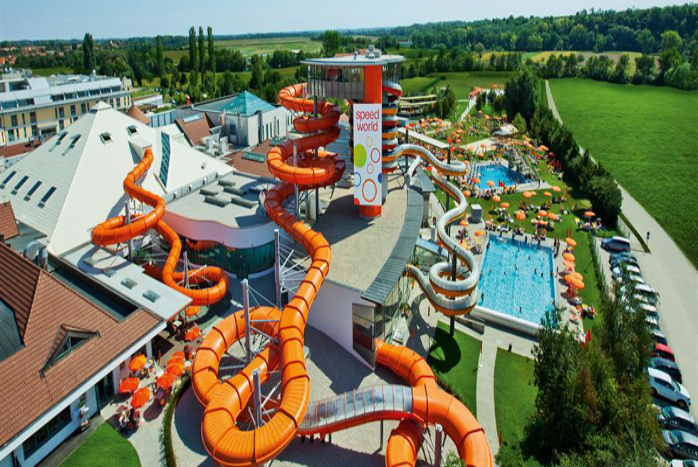 Considered as one of the world’s scariest water slides, the Twister and Speedy slide at the Aqua Park in Austria. 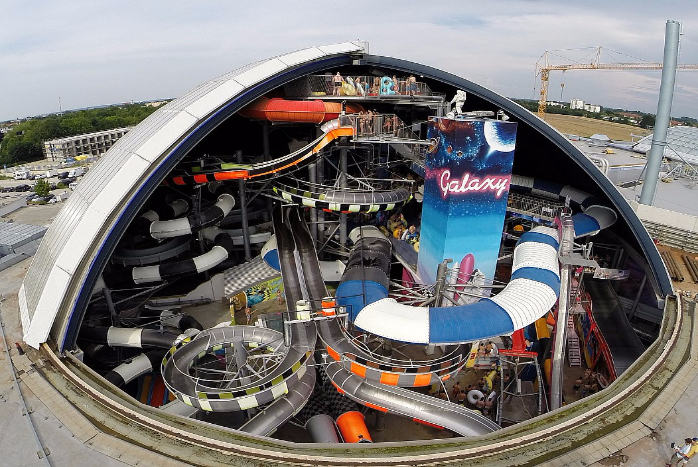 At 660 feet, it is the longest indoor slide in Europe. 24. X-Treme Faser in Galaxy Erding, Germany. This is the high-speed slide for fearless men. Women are not allowed to use this slide as builders of this extreme attraction deem that this slide is not fit for a woman’s anatomy. Riders are drop at free-fall speeds of up to 45mph. 25. Cliffhanger/F5 Twin Twisters in Texas, USA. 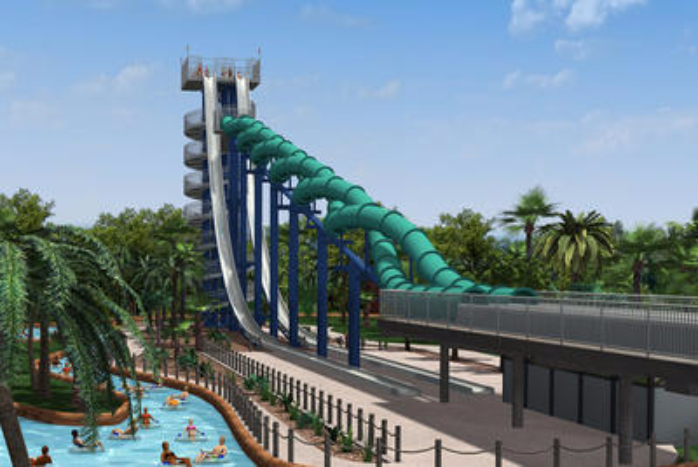 The Cliffhanger and Screaming Serpents (formerly F5 Twin Twisters) in Schlitterbahn Water Parks are two dueling body slides that serve as a highlight in this Texas amusement park.